Rating: 3/5 based on 2 review(s). 414 people have bought this item! 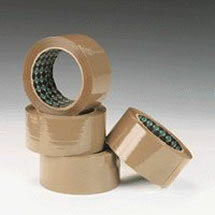 Everbuild Value Packaging Tape - Brown - 48mm X 50 . . .
Everbuild Packaging Tape - Brown - 48mm X 50mtr - . . .
Everbuild Packaging Tape - Clear - 48mm X 50mtr - . . .
Everbuild Value Packaging Tape - Clear - 48mm X 50 . . .
Everbuild Labelled Packaging Tape - Clear - 48mm X . . .